Platter– A disk made from actual metal (or other rigid material) that is mounted inside a fixed-disk drive. Multiple platters are mounted on the spindle in many drives to provide more data storage surfaces. Each platter may use one or both surfaces to store data. 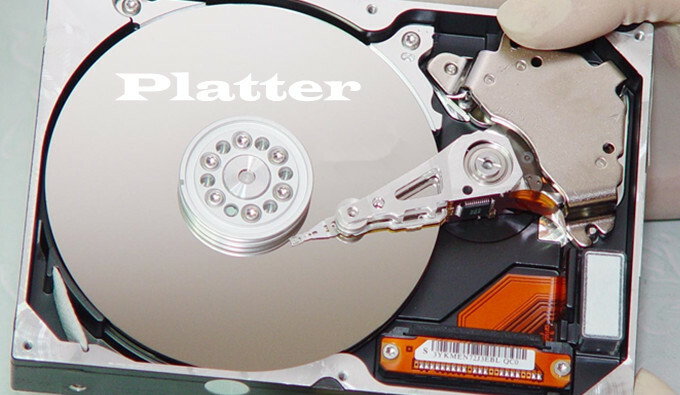 Platter is one of the most important physical component containing the data of hard drives. When the motor is stuck, we need to manage to remove the platters onto a donor drive to read the data. platter or thin metal film plating that is applied to the platter through electroplating, the same way that chrome is produced. Newer technology uses glass and/or ceramic platters because they can be made thinner and also because they are more efficient at resisting heat. The magnetic layer on the platters has tiny domains of magnetization that are oriented to store information that is transferred through the read/write heads. 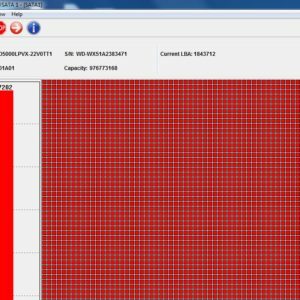 Most drives have at least two platters and the larger the storage capacity of the drive, the more platters there are. 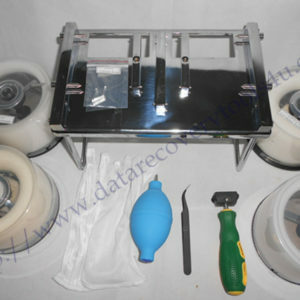 Each platter is magnetized on each side, so a drive with 2 platters has 4 sides to store data.